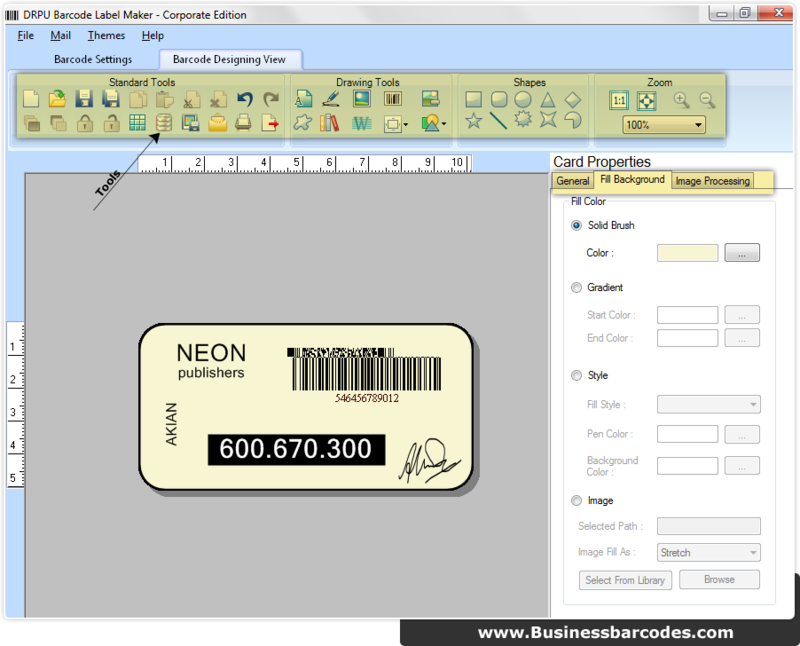 In Barcode Designing View, use various drawing tools from toolbar to design your barcode label. 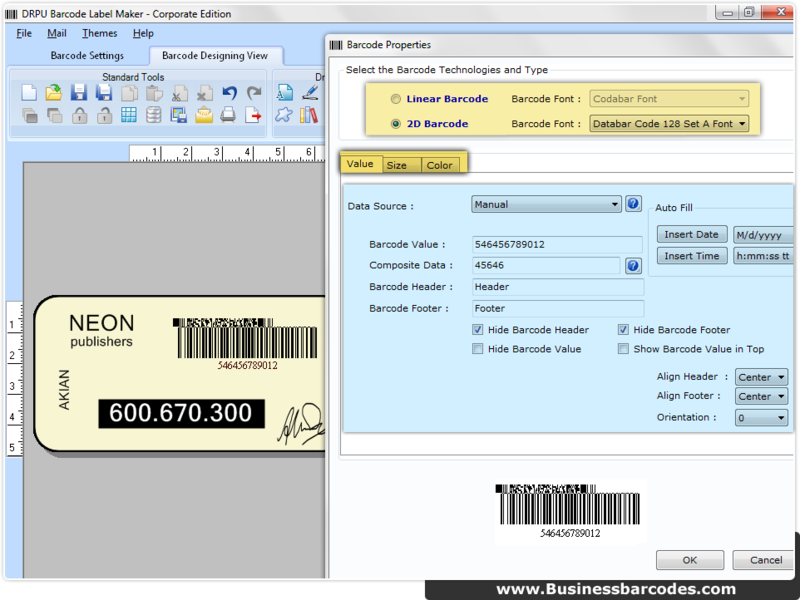 To add barcode go to barcode icon from tool bar and choose barcode technology (Linear or 2D). Fill necessary fields and click 'OK' to proceed.